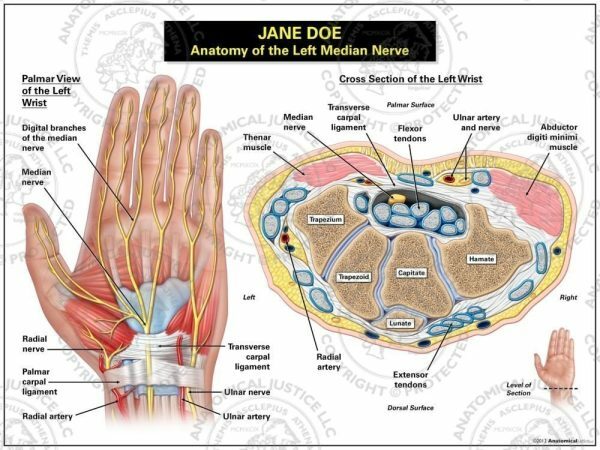 This exhibit depicts the anatomy of the left median nerve from a palmar and axial view. 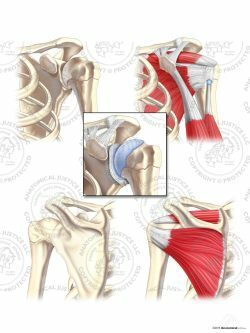 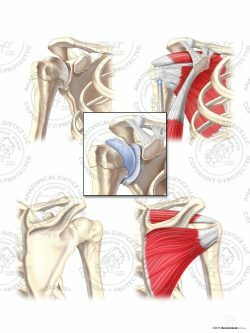 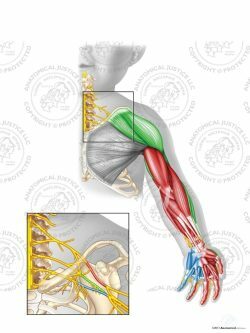 The median nerve originates from the brachial plexus in the upper arm, runs along the volar aspect of the forearm, and then travels through the carpal tunnel with the flexor tendons to enter the hand. 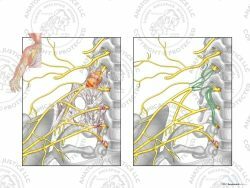 Once it passes into the palm, the median nerve divides into the digital branches that supply the first, second, third, and half of the fourth fingers.